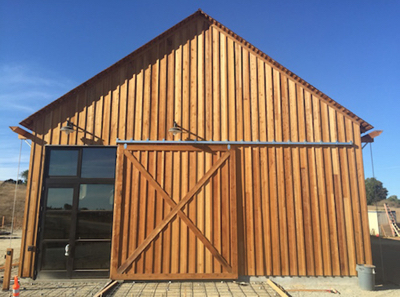 A $5 million gift from the Helen and Will Webster Foundation enabled the campus to restore the historic Hay Barn. 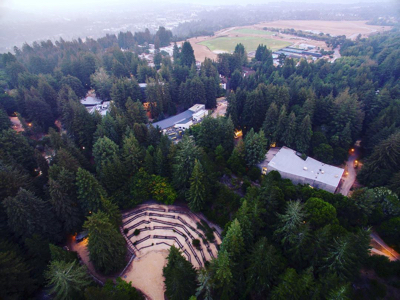 Drawing support from more than 57,000 donors, the Campaign for UC Santa Cruz has surpassed its target of $300 million and is focusing on raising money for remaining priorities across campus in its final months. The campaign will close June 30. Among opportunities to support the campaign: Giving Day on March 8. The 24-hour online event is raising funds for more than 100 projects, many of them student-led. Achievements to date include more than $30 million for scholarships and fellowships, a college endowment and naming, rebuilding the historic Hay Barn into a home for environmental programs, establishing more than a dozen endowed faculty chairs, and launch of restoration of the Quarry Amphitheater. Giving Day on March 8 is designed to give donors the opportunity to connect on a very personal level with students, who are leading many of the featured projects. Last year, $340,000 was raised for 60 projects on Giving Day. More about the Campaign for UC Santa Cruz and making a gift is at campaign.ucsc.edu.